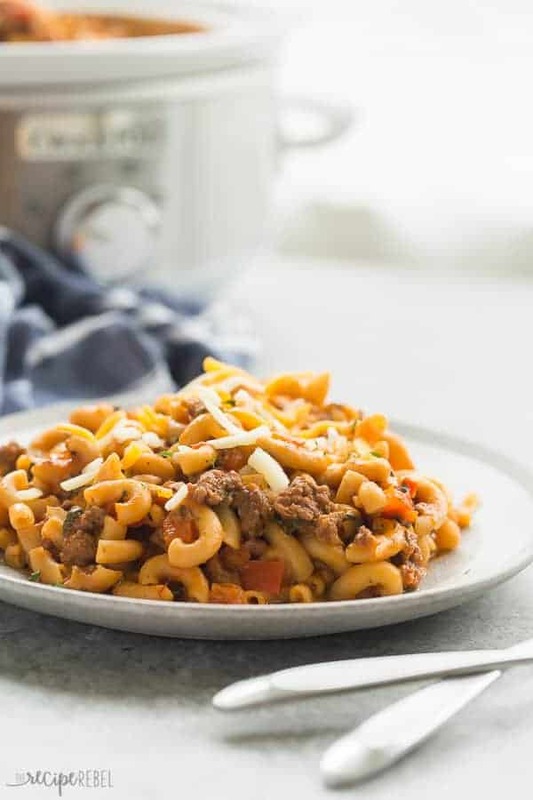 A healthier, homemade version of Hamburger Helper made completely in the slow cooker — yes, even the pasta! (And no, it’s not mushy and overcooked!) Packed with sneaky veggies. 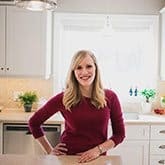 Something I always find interesting is the recipes that are popular on The Recipe Rebel a certain day, week or month, because my goal is to give you more of what you want. Lately, my Healthier Homemade Hamburger Helper has been going a little crazy as people have gotten back to routine and are eating something other than chocolate and cookies. I (surprise!) have also been craving something other than chocolate and cookies. With 3 young kids still in 3 very different stages of life (grade school, preschool and baby), I find myself running around like a mad woman come dinner time more often than I’d like to admit. We use our slow cooker all the time. Probably at least 3 times per week! Learning to properly cook pasta in a slow cooker so that it wasn’t some gross overcooked mush was seriously life changing for me. It takes a little reworking because you need to have just the perfect amount of liquid at the end of the cook time to cook the pasta for the last 10-15 minutes (the exact cook time will depend on the size and shape of the pasta you use), but my original Hamburger Helper recipe translated perfectly into a slow cooker recipe, and it is the perfect solution to the dinner time rush! No stirring, no keeping an eye on things — just let the sauce cook away for a good part of the day and add the pasta in the last 15 minutes and you’re good to go. I use lean ground beef, but you could also use ground turkey or chicken or whichever you prefer. I use broth and low fat milk to make the sauce — instead of heavier milk or cream. I pretty much always use a whole grain or ancient grains pasta for maximum fiber and protein, but you can use almost any pasta and it will work just fine (they all will require varying cook times though, so it’s something you’ll have to keep an eye on). This is the perfect hearty meal to get you through the rest of the chilly days, but it’s also perfect for the warmer days when you just don’t want to turn your oven on! A healthier, homemade version of Hamburger Helper made completely in the slow cooker -- yes, even the pasta! (And no, it's not mushy and overcooked!) Packed with sneaky veggies. 1 pinch red pepper flakes or more, if you like it spicy! In a medium skillet, cook ground beef and onion until beef is browned and onion is translucent. Add to a 4-6 quart slow cooker. Add in bell pepper, red pepper flakes, garlic, salt, Italian seasoning, spinach, milk, beef broth and tomato sauce and stir. Cover and cook on low for 7-8 hours or high for 3-4 hours. 10-15 minutes before serving, stir in pasta. Cover and let cook for 10-15 minutes, until desired tenderness is reached. Stir in cheese (covering for 2-3 minutes if necessary to melt the cheese) and serve. I haven’t tried this yet, but I am planning to. I have a question: does the dry macaroni really completely cook in 10-15 minutes in the slow cooker? I don’t have to cook it first? It does and no you don’t have to cook it! If you doubled the recipe (meat), do you think the pasta would still work out okay? Thinking of making for a crowd, and don’t have multiple slow cookers to use. It would be fine if you have a large enough slow cooker! The fuller it is, the longer it will take so just something to keep in mind. 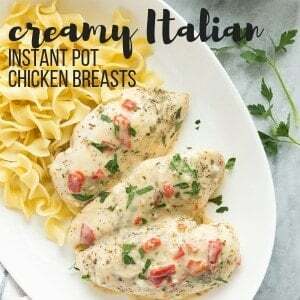 Why would you cook this for 8 hours in a crockpot when you can easily fix this in 15 minutes on a stove and not run the risk of overcooking the pasta? You don’t run the risk of overcooking the pasta if you just keep an eye on it, and I would say that fixing this on the stove is going to take you at least 30 minutes, maybe more depending how many veggies you are chopping. I also have a stove top version, and we like them both. What would be a typical serving size? one cup? I want to try to calculate weight watchers points values. Thanks! Hi Peggy! Unfortunately I don’t know the serving size in grams or volume, but if you need, I would weigh the entire recipe, divide by 6 and then individually portion according to weight. I hope that helps! I am in love with this. Especially excited that it can be made in the slow cooker. This is one of those amazing comfort food recipes that you love to have in the cooler weather. So much deliciousness! Yes, us too! We love it! Thanks Danielle. So happy to hear that! I hope you like it! I have this in the crockpot now! Can’t wait to try it. It smells delicious! Let me know how it goes over! It’s one of our favorites! I am obsessed with those slow cooker liners! I use them every single time we make something in the slow cooker. 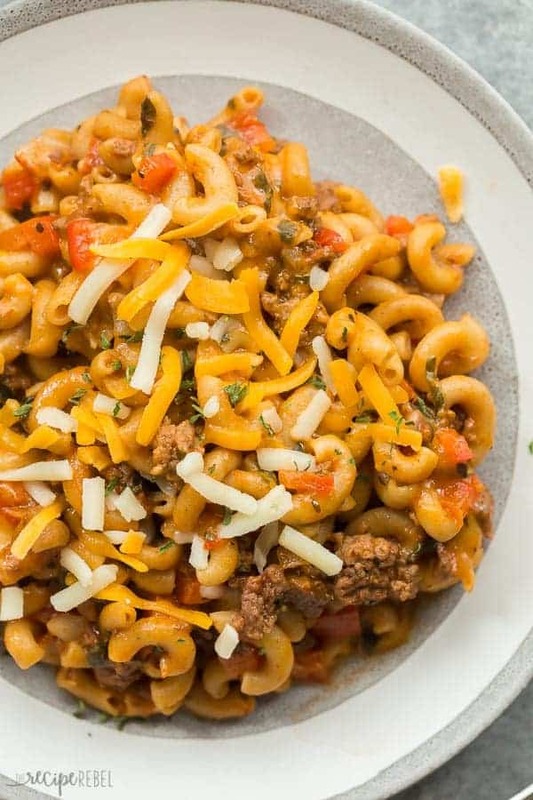 I’m also a huge hamburger helper lover, so this healthy version sounds sooo good! I would be wary of cooking pasta in a slow cooker too, but I’m glad you’ve tested it! This sounds like a great meal to come home to! Can you believe I’ve A) never eaten hamburger helper or B) cooked pasta in my slow cooker? I’d better get on that! Looks delicious! Wait now — what?! You’ve never had Hamburger Helper?? Lol. I am obsessed with one pot slow cooker pastas! I’m all for easy and no mess! Love all of the veggies you can sneak into this! I’ve seen those liners in the stores and next time I’m definitely picking up a box or two! And seriously, girl you are the QUEEN of awesome homemade hamburger helper! 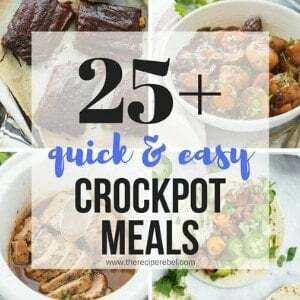 I am all over this crockpot version! Thanks Sarah! I am basically 10 years old. Lol. Those liners are the BEST! So so helpful – who likes cleaning their slow cooker?? And this hamburger helper looks AWESOME! Such a delicious dinner idea. Right?! Who has time for that?? Lol. Thanks Rachel! Turkey definitely works just fine! Thanks Erin! I love those slow cooker liners — washing a slow cooker can be quite the pain sometimes! 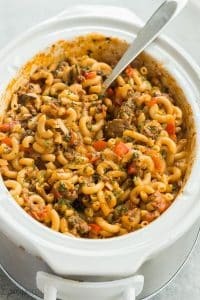 I grew up on Hamburger Helper and I love that you lightened this up and you can let the slow cooker do most of the work for you! Thanks Marcie! I totally agree — it’s probably my least favorite thing to have to clean! Another recipe my family is sure to love! Can’t beat this and it’s made in the slow cooker so I love it too! 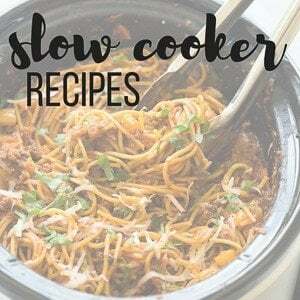 I’m always looking for more slow cooker recipes! Those slow cooker liners look so convenient – easy cleanup is always a plus! I’d love this homemade hamburger helper for dinner tonight! Thanks Kristine! Quick and easy is always a win in my books! Those slow cooker liners are the best! It saves me so much time in the kitchen! This hamburger helper is just what I need after devouring one too many snacks over the weekend! Love that you can toss everything in and let the slow cooker do its magic! Right?! Who wants more dishes to clean? I love them! Thanks Gayle!